It’s baby bliss over at ABC News these days. The View’s Sara Haines welcomed her second child (and first daughter) into the world this past Saturday. Chief meteorologist Ginger Zee announced on-air back in August that she and her husband are expecting a second boy in early 2018. 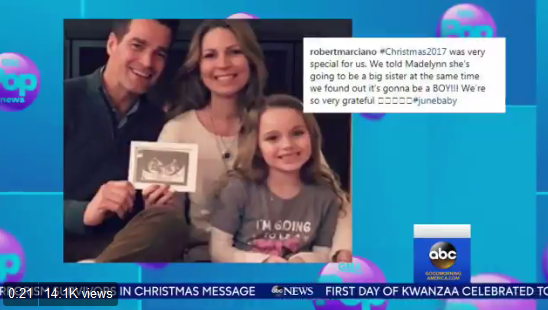 Now, it’s Zee’s Good Morning America colleague Rob Marciano and wife Eryn who have a baby on the way. The ABC News senior meteorologist announced on GMA earlier this week that he and his wife will be welcoming their second child in June.